A week after reports first surfaced that a migrant child had died after leaving an Immigrations and Customs Enforcement facility near Dilley, state officials have opened an investigation into possible abuse or neglect. Until now, such probes — by government agencies and media alike — have been stymied by a lack of information. After reports of a child’s death emerged on social media, the child’s family has remained quiet, and its lawyers have declined to provide any identifying information about the child, including his or her name, age and specific cause of death. The family’s pro-bono counsel, of the Washington, D.C., law firm Arnold & Porter, passed that information on to state investigators on Thursday afternoon shortly after the hearing. “We have provided the information requested by the Texas Department of Family and Protective Services and are cooperating fully with them,” a spokeswoman for Arnold & Porter confirmed Thursday afternoon. 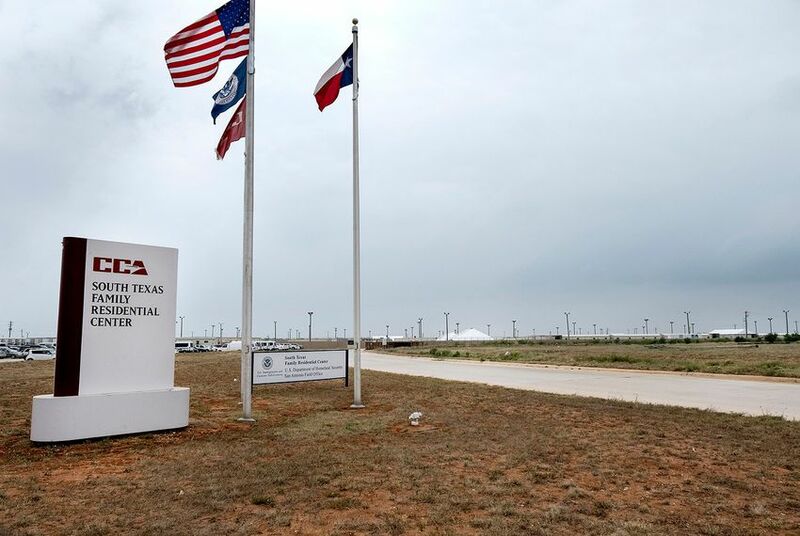 Both the Texas Department of Family and Protective Services and the Texas Health and Human Services Commission are investigating the incident, the agencies confirmed. News of the investigation was first reported by The Dallas Morning News. ICE facilities are federally run, but Texas state agencies have certain powers to investigate them. DFPS can investigate any allegations of abuse or neglect of a child at the facilities, and HHSC licenses such facilities.